Phillip Henderson is a qualified therapist who completed his studies in Melbourne under the tutelage of qualified physiotherapists in 1992. After being an international athlete and living at the AIS for three years as a track and field athlete he found himself interested in the functioning of the human body and ways to maintain high levels of athletic endeavour. The old saying “prevention is better than cure” was instrumental in helping Phillip stay fairly injury free and his belief in the benefits of preventative treatments led him into the field of massage therapy. Phillip Launched his career in Canberra 1992 at the ANU. Since this time, Phillip has had 4 years experience at a clinic in Woden working on chronic pain conditions, using biofeedback, until returning to the ANU as the owner and full time therapist at the ANU Sport and Recreation Centre. Faye began working with Pivotal Therapies in 2010 after completing her Diploma of Remedial Massage with the Australian College of Massage while living in Albury. She has since completed other qualifications in Myofascial Dry Needling (MDN), Myofascial Cupping & Functional Fascial Taping. 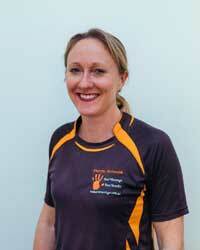 Faye is passionate about working in the Massage industry & loves working with a great team of like-minded therapists. Her interest in the human movement, function and anatomy stems from a lifetime of involvement in athletics having enjoyed ‘sprinting’ (100m) at National level. She completed a Bachelor of Arts in Sports Administration in 1994 that lead to work in Sydney at Little Athletics NSW where she gained qualification as a Level 4 Junior coach and coached numerous state teams, ran coaching clinics / camps, and coached private athletes. 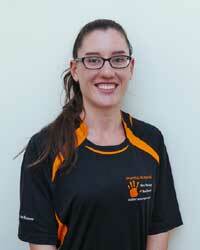 During the summer months in her spare time she enjoys coaching at the Ginninderra Little Athletics Club. Rebekah graduated from CIT with her Advanced diploma, along with kinesiotaping K1 & K2 and also with myofascial cupping, Lymphatic drainage, Oncology Massage. Rebekah is interested in most sports as she is very active herself, mainly enjoying swimming and surfing. She is very flexible with all different forms of musculoskeletal injuries and is especially interested in rotator cuff conditions. Gerard graduated from CIT with his Advanced Diploma of Soft Tissue Therapy, along with Myofascial Dry Needling, Myofascial Cupping, Trigger Point Therapy, and Deep Tissue Massage. After completing his Diploma of Fitness in 2014 he has spent the last three years working as a personal trainer and fitness coach. 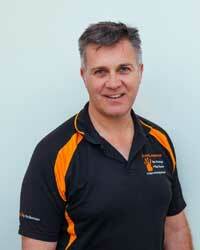 Gerard is highly interested in anatomy, human movement, hip, lower back and shoulder pain. Gerard is currently doing the 4 year Physiotherapy degree at UC.